He is a highly popular and attractive male student that is also Akira Sengoku's best friend. The two got along well and seemed like the total opposites. 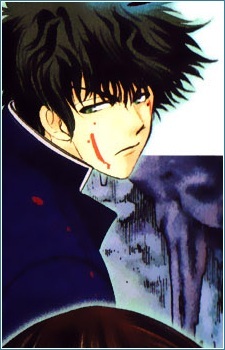 Kouhei was a reliable leader of his own group until misfortune struck and he killed almost all members of his group. He went missing after that but returned during the Chimera-incident. Kouhei was first seen as a friendly guy who had a strong-will and also cheered everyone else up. He was popular and seemed to have said a lot of nice things to everyone around him. He's extremely friendly with Akria and Rion Akagami, usually helping them out whenever he can, though still joking with them in the process about their relationship. He knows how to handle situations and was seen calming down his colleges after the guys had stolen food, where he then follows up and begins to find a new batch of food. He was optimistic and slightly condescending as he saw himself as number 1. However, after arriving on the island, he had a slight mental breakdown killing numerous people. He had snapped from the fact that he wouldn't be able to return home and then put on a facade so that no one ever find out he murdered someone. He had showed a side of him where he doesn't want to be labelled as a murderer and would keep anyone quiet if they found out about that. He is somewhat a Sociopath. Although after certain events with Kouhei, he seems to have returned to a person who is remorseful for what he had done and seems to have changed away from murdering people.